If you want to buy high-quality and Eco-friendly paper lunch box machines, Win Shine will be your best choice! Win Shine Machinery Co., Ltd. has been a recognized leader in the R&D and manufacturing of paper food packaging containers making machines for more than a quarter of the century when the environmental protection concept was forming. At that time, the whole world rose in support green color paper packages and against polyester products. Due to the concept of environmental friendly, Win Shine builds a wide range of paper container producing machines and markets them to all over the world. They are very proud and responsible to their paper box making machines. Win Shine insists to make each part’s quality stable and durable. Constantly improving leads their team to be more and more professional and strong team. Since Win Shine R&D WS-1101 paper lunch box forming machine with the highest skills and experience in the market, but they keep being top paper box forming machinery and developing up higher efficient machines than before. Moreover, Win Shine cooperates with international paper groups continuously, keeping developing up most eco-friendly like biodegrade paper, could hold on higher heating temperature more than 200 degree through induction cooker, microwave or oven cooking frozen foods containers. Paper cup / paper bowl forming machines. To get more information of paper lunch box machines, please do not hesitate to check out Win Shine’s website and contact them right away! Mylas’s Vision Is To Deliver Significant Contributions With Innovative Technology For The Future of CNC Turning Development. 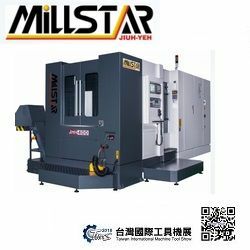 With over 30 years of experience, Mylas aims to provide One-Stop-Solutions for customers in different industries worldwide to strengthen their competitiveness, optimize production processes, and to achieve their goals with high precision, high quality CNC lathes. MYLAS is dedicated to employing the same innovative spirit to developing multi-axis turning centers through product research and development. 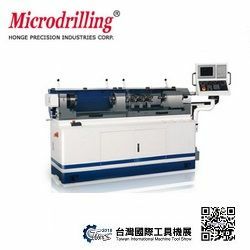 Their machines offer superior precision, superb stable operations and reliable long-term production. 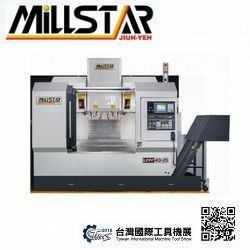 MYLAS is recognized as one of the most capable manufacturers of production lathes and all their machines are manufactured to the highest quality meeting both ISO9001 and CE certification. Furthermore MYLAS CNC lathe machines have earned an excellent reputation and global trust by customers worldwide throughout Europe and the Americas. The company’s workplace and machine quality is employees’ motivation to continue serving at MYLAS. Teamwork helps build machines, but it’s innovation that makes it exciting and worthwhile. Also, teamwork and trust inspires them to go beyond just assembling this spindle. They are creating something that will last for a lifetime and it will be like a part of someone else’s family. So, they strive for perfection in all of the small details. At MYLAS they believe in a personal approach to customers. Customized machines are an important part of their story because they develop lathe machines to solve customer’s specific problems. Since 1985, the ultimate goal behind MYLAS Machinery is to provide the best solutions to their customers. The modern design and innovative developments are attributed to the spirit of MYLAS. To explore the current MYLAS product portfolio, welcome to find out more.